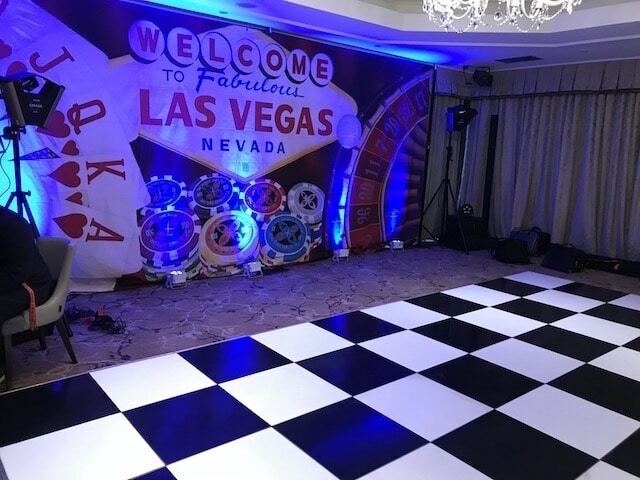 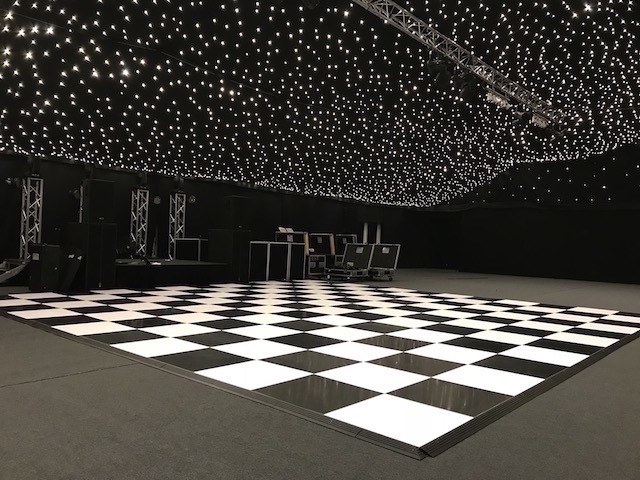 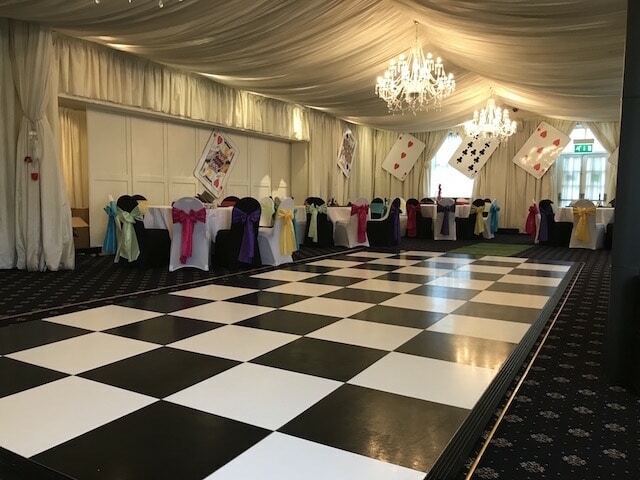 Our Black and White Dance Floor is perfect for both wedding receptions and corporate events and look ideal with our starcloth backdrop. 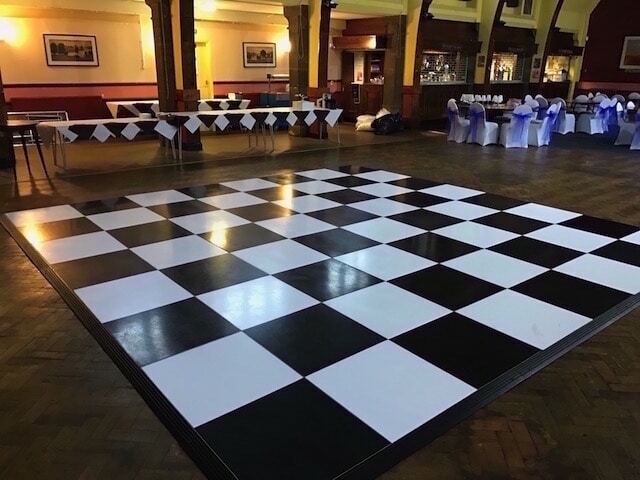 The black and white dance creates a unique and stylish look benefiting all venues. 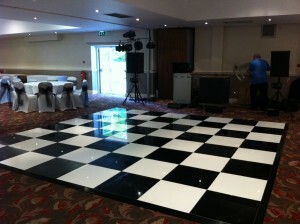 The gloss finish encourages a fabulous shine that will catch the eye of all those present. 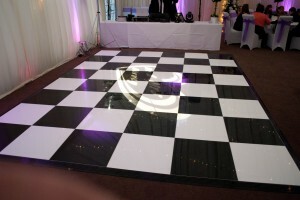 With this black and white dance floor comes great photo opportunities for your big day or event. 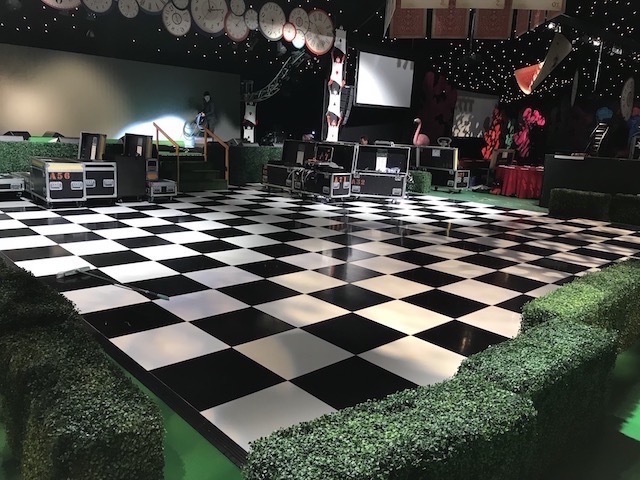 All of our Black & White dance floors use a special locking system, which ensures that pieces don’t come loose during use. 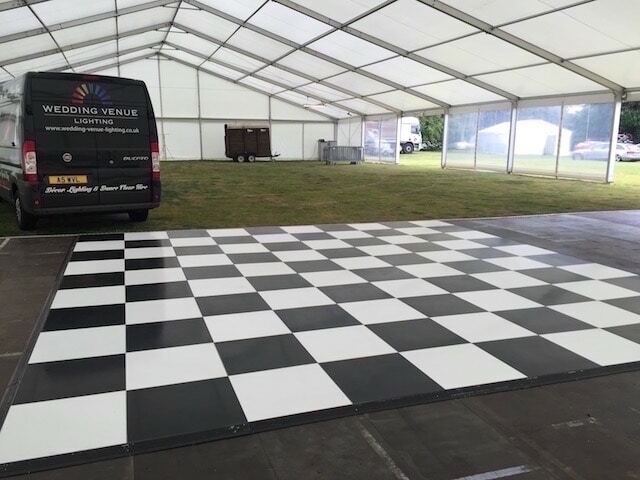 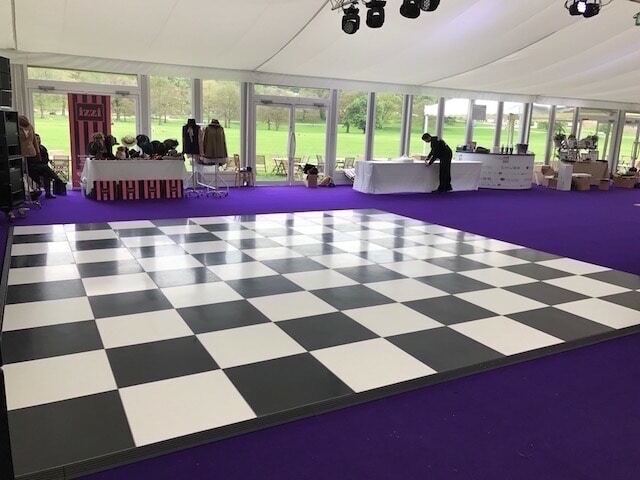 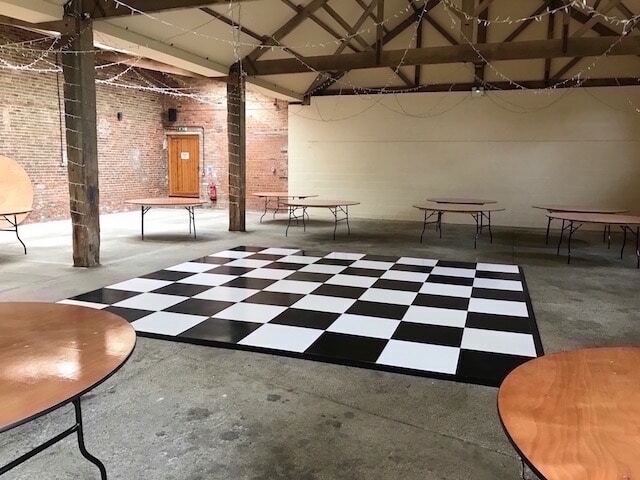 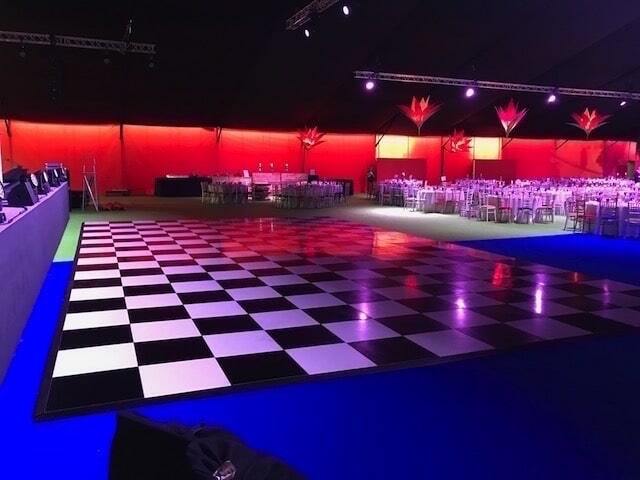 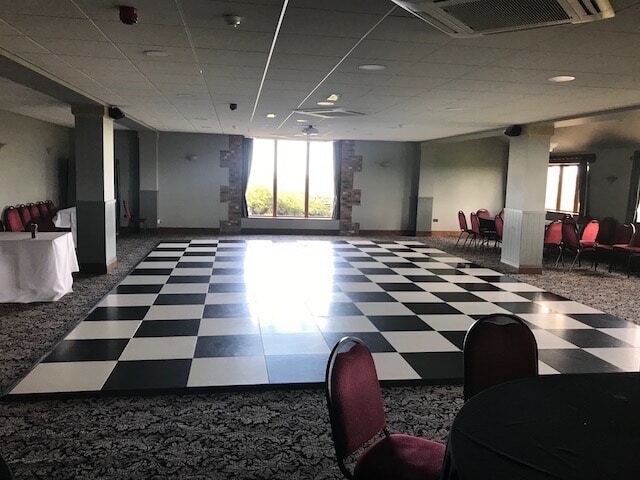 (We deliver install and collect free of charge within a 50 mile radius of BD19 postcode, additional miles are charged at £1.00 per mile) Contact Us For Further Details and availability We are happy to install the Black and White dance floor at a time to suit you be that in the morning or just before it is required. 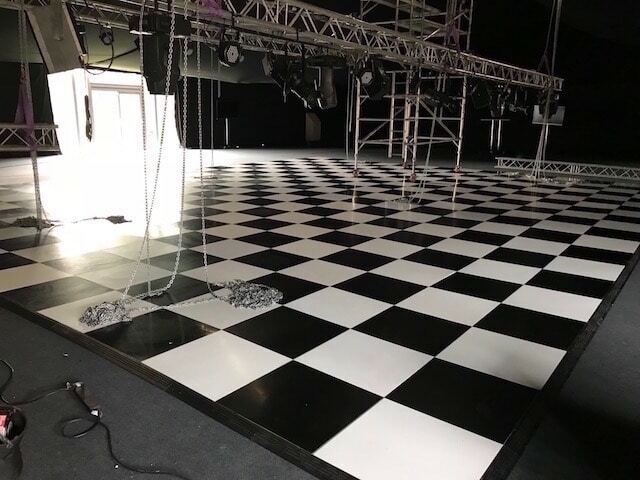 The dance floor uses a special locking system, meaning we can assemble the whole floor in under an hour. 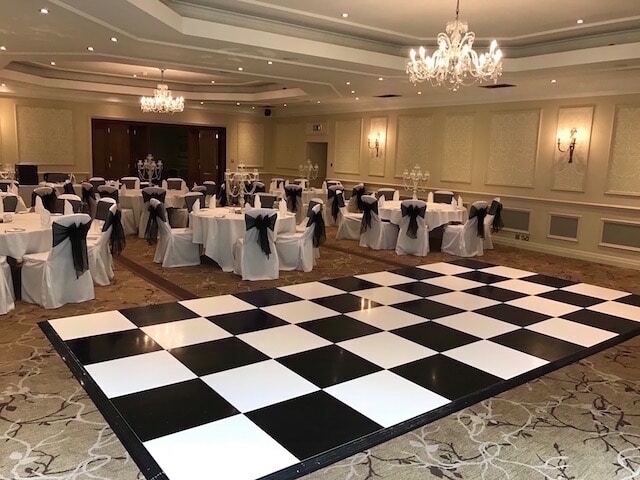 Black and White Dance Floors bring elegance and style to your wedding with the timeless elegant classy look. 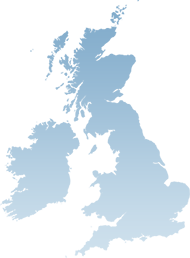 They have been the industry and corporate standard floor for many years. 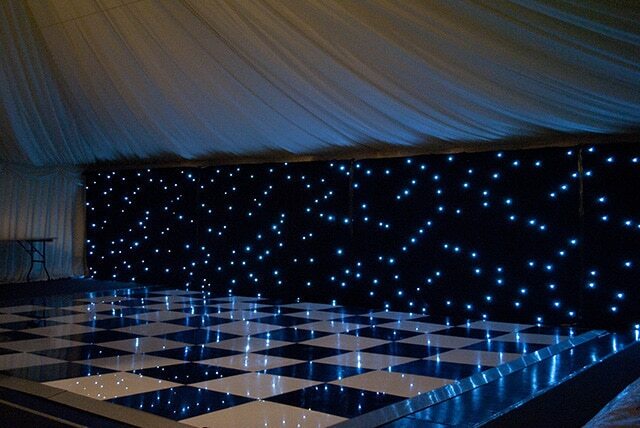 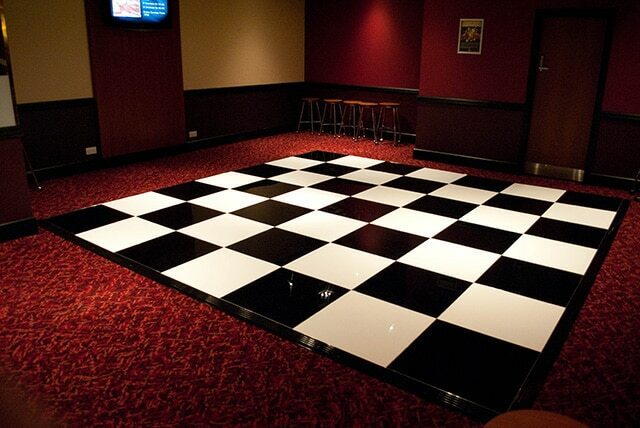 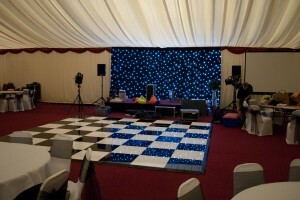 Our black & white chequred dance floors are maintained to the highest standard and always a clean and shiny finish.